Immediate, intensive veterinary treatment for canine parvovirus (CPV), commonly referred to as parvo, is the best way to give your dog a chance of survival. With intensive care, Albert North Veterinary Hospital reports an 80% chance of recovery. But in sharp contrast, without it only 10% those infected will make it. For a dog with parvovirus, time and intensive nursing are of the essence. Since parvo, is so deadly, the best "treatment" is prevention. The WSAVA vaccination protocol advises all puppies should be vaccinated beginning at six weeks old with follow-up vaccinations every three to four weeks until the dog is 16 weeks or older. Unfortunately, even with a properly vaccinated dog, there is no guarantee the dog is safe from parvo. This is because immunities passed to puppies from their mother's milk can actually interfere with the vaccine. However, vaccination is still important because it greatly increases the chances of your dog staying healthy. In addition, the adult dog must receive 'top-up' doses of vaccine. This varies depending on the vaccine used, but typically is one dose at around 15 months of age and then every three years. To further increase your dog's chances of avoiding this virus, it is important to practice proper hygiene. Always wash your hands after handling or petting other animals because parvo can be carried on any animal - even people. The Merck Veterinary Manual explains that Parvovirus is a tough virus and can survive in the environment for several months. In addition, the virus can be transported inside on clothing and shoes. Keep feces cleaned up, and keep your dog away from the feces of other animals. Prevention is essential because parvo has no cure. However, there are various treatments for parvo. These signs warrant veterinary attention regardless of the cause. 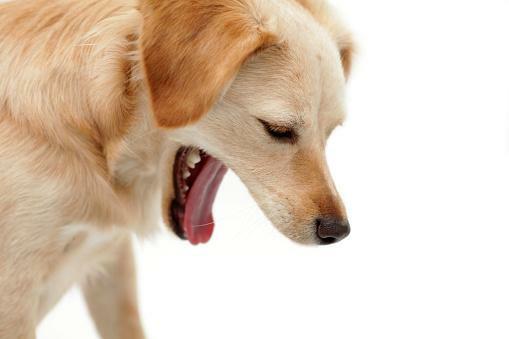 Once at the vet, your dog will be tested to determine is parvovirus is indeed the problem. If a diagnosis of parvo is made, urgent and aggressive supportive care is required. 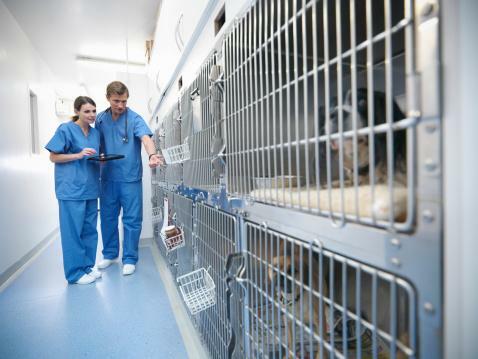 The first thing the vet will do is isolate your dog in a cage and barrier nurse them. This is not only so your dog can rest, but also to prevent the spread of this deadly virus to other dogs. During this time, it is imperative that you disinfect everything with a solution of one ounce of bleach in one quart of water. Wash all bedding with bleach, wash hard surfaces and toys, and be sure to disinfect your yard as well. In addition, disinfect your shoes and wash your clothing. All feces must be cleaned up, and bleach should be poured over any areas that the dog has used for elimination. Parvovirus can live in the soil for many months, so killing it is important to keep your dog, or other dogs, from getting reinfected. Cornell University explains how fluid lost in severe sickness and diarrhea, quickly leads to dehydration. This is especially dangerous in puppies and is the commonest cause of parvo related deaths. Therefore, keeping your dog hydrated is an important part of treatment. 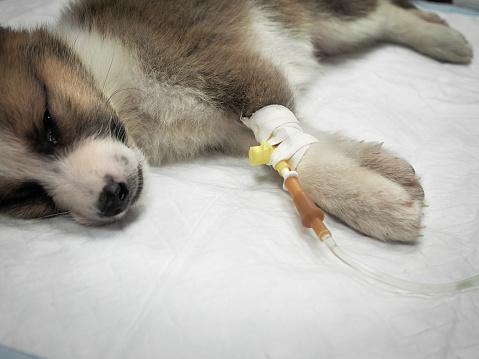 Since the virus produces violent vomiting and diarrhea, fluids must be administered via IV or subcutaneous injections. In the most severe cases, only intravenous fluid therapy can keep pace with the loss of fluid. IV fluids also replace vital electrolytes lost in the sickness and diarrhea, when depleted blood levels could cause serious complications. Vets Now record serious cases that required a mini-blood transfusion of plasma to stabilize the patients. At the other end of the scale, for milder cases, fluid under the skin can be helpful, especially for the puppy that vomits after drinking. However, the more intensive the treatment (intravenous fluids) the greater the success rate. These antibiotics are administered through the IV or by injection. The younger the patient the harder parvovirus hits them. Those dogs most likely to survive are adult dogs who were previously in good health. Staci Cannon DVM claims a rule of thumb, those dogs that get past the three to four days marker with intensive care, are likely to pull through. However, recovered dogs continue to excrete parvovirus for up to two weeks post recovery. This means responsible owners should take care to clean up and disinfect (with dilute bleach) where their dogs have toileted, so as not to pose a risk to other dogs. Some people feel that home treatment is an acceptable treatment for parvo. Before deciding to go this way, please keep in mind that if your dog's systems are not properly supported while it fights this virus, chances are very good that it will die.If you cannot afford hospitalization for your dog, discuss the situation with your veterinarian before you decide to treat your dog at home. Many vets offer payment plans for established clients. Your vet may also allow you to treat your dog at home and send the necessary medications with you. 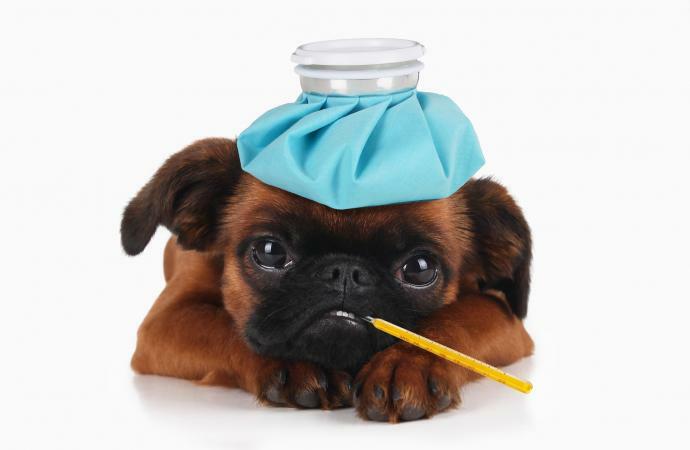 For some, home remedies are truly the only way they are able to treat their sick dog. Proponents of home remedies say these products can keep the dog hydrated and give it valuable nutrients to help fight the infection. However, these methods usually will not provide essential antibiotics that your dog may need if a secondary infection strikes. The best chance you pup has for recovery is to get treatment from your vet. While veterinary care is always preferred in treating a case of parvo, home treatment is better than no treatment at all if there really is no other option.